A wind-power-controversy incites clashing viewpoints over killer-wind-turbines for animal lovers and the general public alike. The idea of wind energy is indeed sparking a variety of heated issues and debates for some some folks, and definitely falls under the category of questionable-energy-practices. They have some very strong feelings and concerns in their opinion when it comes to constructing wind-farms. There are basically those people who simply say that it is only 50% of the time that there is power that can be used from the wind, and that it can't be stored in a sustainable way, so what's the point? As many as 300,000 birds could be killed per year, based on present statistics, and considering that there is the effort on to have 20% of electrical supply from wind-energy up and running by 2030. It is estimated at the moment,that turbines in the US kill at least 100,000 birds per year. That number could even be higher. The more wind-projects that appear, the higher the toll will potentially be. Of course this is upsetting for many people, and obviously for the bird conservation groups. I don't think anyone really likes to think of this happening regularly. 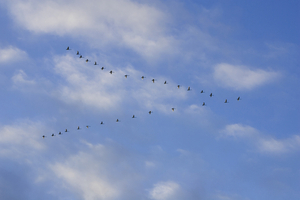 In addition to getting in the way of regular bird-migration-paths, bad weather forces birds to fly lower. This results in them flying directly into or being hit by the spinning turbine blades. It is estimated that at least 80, if not more bald eagles have died this way. Bats seem for some reason to actually be attracted to the turbines. Opposing groups have argued however, that birds killed by wind turbines, only represents a tiny percentage of what kills birds more on a day-to-day basis. They say to consider activities carried on by humans and other free-standing structures such as towers and smokestacks. Even automobiles are more responsible. Statistics say that at least 1 billion birds per year are killed by other animals, including by house-cats that are let outside to roam by their owners. The dispute revolves around "why aren't charges laid against the companies/owners with the turbines for the deaths of protected eagles and other birds?" The response was basically that we don't and can't legally hold "animals" responsible for killing a bird, and they are more to blame than anything. Wind-Power-Controversy shouldn't even be any kind of a controversy at all here. So, to date, there are no prosecutions for what is referred to as this "tiny percentage of deaths from wind turbines." It certainly makes for controversial-subject-matter. Some industry and scientists are trying to figure out how to make turbines that are safer for birds. There shouldn't be any spots to perch or nest, and blades should be taller at a height which won't interfere with regular flight paths. 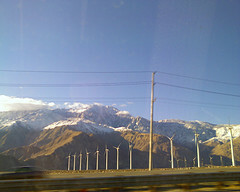 Other issues and questionable-energy-practices add to the wind-power-controversy as well. There are concerns about possible radar interference with planes and air traffic controller radar screens. This has involved Heathrow Airport in the UK, and it was eventually determined that turbines at a specific location would not in fact interfere. The South African Air Force is concerned as well that turbines will possibly upset their radar at a particular base. What the concern is, is that the rotating arms of the giant propellers could reflect radar pulses in all different directions which would cause interference or "clutter" on radar screens. Not In My Backyard, Thank You! This highly controversial subject is self-explanatory. People live in country settings to escape the "industrial feel" to their surroundings. Open country settings are some of the best locations for wind turbines. And so, not many people want to look at them. Not only does it spoil their pristine view of a hillside, open field, view of the ocean or coastline, they say the turbines are just plain noisy. They say the turbines devalue their properties as well and take away horribly from the natural beauty of their space. Business owners also want it understood that for those who run tourist-oriented establishments, tourists pay for the view. Proprietors make their livings from those who are willing to pay top dollar to see a beautiful and natural setting, and bask in it for a period of time while they can. 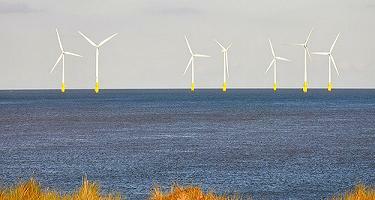 They protest that a skyline dotted with turbines or a coastline lined with wind machines will ruin their livelihoods. In their opinions, wind-farms are ugly, and are ruining the scenery that their customers want to see. Fair enough. Evidently some wind-power-controversy and debate exists out there depending on who you talk to. What wouldn't bother one person, means everything to someone else. Emotions run high on this particular subject.